D’Arcy Smith is an Associate Professor in CCM Acting. He brings over 20 years of experience as a professional actor, coach and teacher of performers. 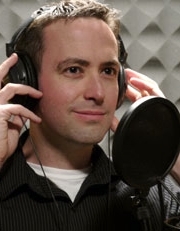 As a voice, text and dialect coach he has worked on over 80 professional productions. Before coming to CCM he was a resident voice coach at the Guthrie Theater for four seasons, and voice coach for numerous professional acting companies in the US, Canada and New Zealand including Actor’s Theater Louisville, Cincinnati Playhouse, Cincinnati Shakespeare Company, The Guthrie Theater, American Player’s Theater, Penumbra Theater, the Jungle Theater, Theater Latte Da, Circa and Taki Rua. He has also worked on television series as a dialect coach in New Zealand. Teaching credits include workshops nationally as well as in the UK, Canada, New Zealand and Malaysia. Smith has worked in the BFA program at the University of Minnesota and was the Head of Voice at Toi Whakaari (New Zealand’s national drama school) He has also worked at Wright State University in both the BFA Musical Theater and Acting programs, and at the Toronto Film School and York University. He has taught voice production, speech, IPA, voice-over techniques, acting for the camera, Acting Shakespeare, dialects and voice in violence for over 12 years at the university level. Smith is a professional actor and member of ACTRA, Canada’s union for film and television. This includes work in film, television, voice over and theatre, acting opposite the likes of Helen Mirren, Eric Stoltz and Natasha Richardson. He has directed and devised both contemporary and Shakespeare productions and scenes. He was editor, director and producer of a series of one-hour Shakespeare productions that toured highschools in the Wellington, New Zealand area. He holds an MFA and BFA in Acting and is trained in Stanislavski, Meisner and Cohen based acting techniques as well as acting Shakespeare and text analysis. He also has a graduate degree in voice, speech, text and dialect coaching and trained with master teacher of Linklater technique, David Smukler for over eight years. Smith extended his intensive training in a variety of voice methodologies, including Lessac, Roy Hart, Fitzmaurice and Estill. His training includes a variety of speech/dialect methodologies: Dudley Knight/Phil Thompson, Louis Collaianni, Lessac and Skinner, as well as approaches to Shakespeare: Neil Freeman, Patrick Tucker and Lisa Harrow (Barton). Smith is currently serving on the Board of Directors of VASTA (Voice and Speech Trainers Association). He has published articles for the Voice and Speech Review and produced and directed the audio materials for Phonics for Dummies. His research interests include “Voice in Violence” methodologies to help actors protray vocally violent scenes in the healthiest way possible. MFA, York University, Toronto, Ontario, Canada (Acting). (PI), Smith, DArcy, URC AHSS Faculty Research stipend FY18, UC's University Research Council. (URC AHSS Faculty Research stipend FY18), $16,275.00. 05-01-2018 to 05-31-2018. Status: Active.